Are expensive watches valuable collectibles? 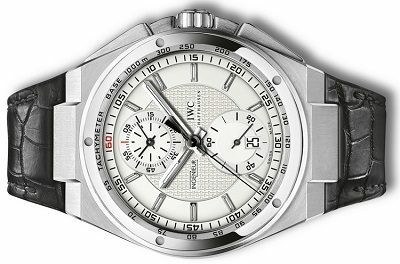 Since 1868, the Swiss company, IWC (International Watch Company), has been making watches with great precision and superior design and they have done just that with the IWC Aquatimer Chronograph watch—proof that nearly a century and a half later they are still innovative and on the cutting edge with this exclusive diving watch. Aqua or on the surface – where to wear your Aquatimer? The whole purpose of this great watch is to wear it while under water—specifically when diving. So its twelve-bar water-resistant capability is highly desirable. The Super-LumiNova® technology is a special luminescent coating that is on the underside of the watch so you have plenty of time during a long dive to see the time– no matter what the lighting conditions are or if it is dark during your dive. The yellow-colored fifteen-minute arc on the face of the watch allows an extended period of time for you to see your watch and tell the time, since yellow is a color that is still very visible under a significant amount of depth under water. IWC Schaffhausen has also introduced a new color pattern of blue and white for variety. With a forty-four hour power reserve, you have nearly two days before you need to worry about your watch not working so you will not be long without it. Finally, having different colored dials for the minute and hour counters makes reading your watch under water even easier. If you or someone you know is an avid diver or enjoys leading an active life under water, then this watch is made just for that reason. With the IWC Aquatimer Chronograph, you will spend more time enjoying the deep seas and less time worrying about the time. Like with most of the so called “divers watches” it is no shame to wear them when you aren’t into diving. I would even estimate that 80-90% of the watches that originally were made for divers are worn by people that never dive. Are all expensive watches valuable collectors items?